Warner Bros. Pictures has just announced that director James Wan (Furious Seven, The Conjuring) is officially set to take the helm of the studio’s upcoming Aquaman feature film! 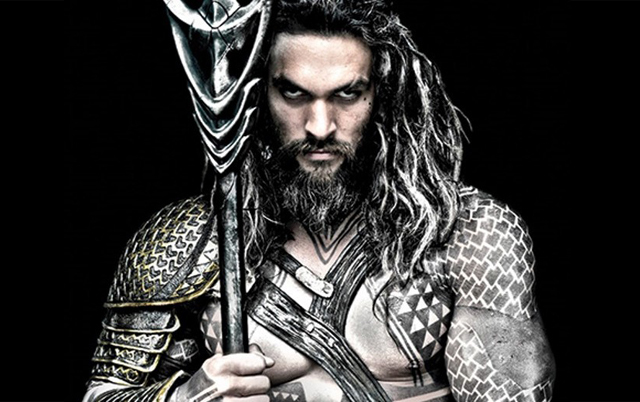 Jason Momoa (“Game of Thrones”) is starring as the sea-dwelling superhero. The announcement was made today by Greg Silverman, President, Creative Development and Worldwide Production, Warner Bros. Pictures. Wan will also be supervising the script by Kurt Johnstad (300, 300: Rise of an Empire). Charles Roven, Deborah Snyder and Zack Snyder will serve as producers. The character’s first comic book appearance was in 1941’s “More Fun Comics” #73. Created by Paul Norris and Mort Weisinger, Aquaman went on to become a founding member of the Justice League of America two decades later. Until now, the character has never made it to the big screen. Aquaman’s sole live-action appearance was as a teen on the WB’s “Smallville.” The character was planned for a spinoff series, “Mercy Reef,” but the property never made it beyond the pilot stage. Before appearing in his solo film, Momoa’s Aquaman will make his big screen debut in Zack Snyder’s Batman v Superman: Dawn of Justice, set to hit theaters on March 25, 2016. It’s also a near certainty that he’ll be back for Justice League: Part One, arriving November 10, 2017. Aquaman then hits the following summer with Justice League: Part Two following on June 14, 2019.